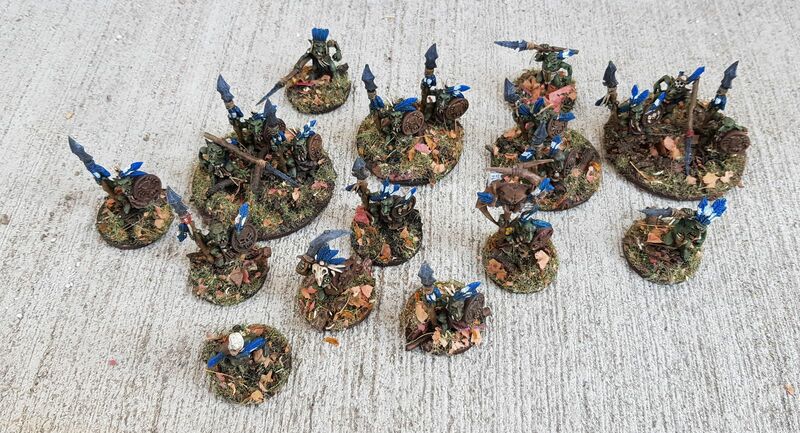 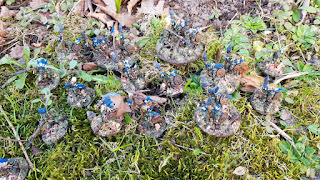 I have painted up some reinforcements to my Forest Goblin army. 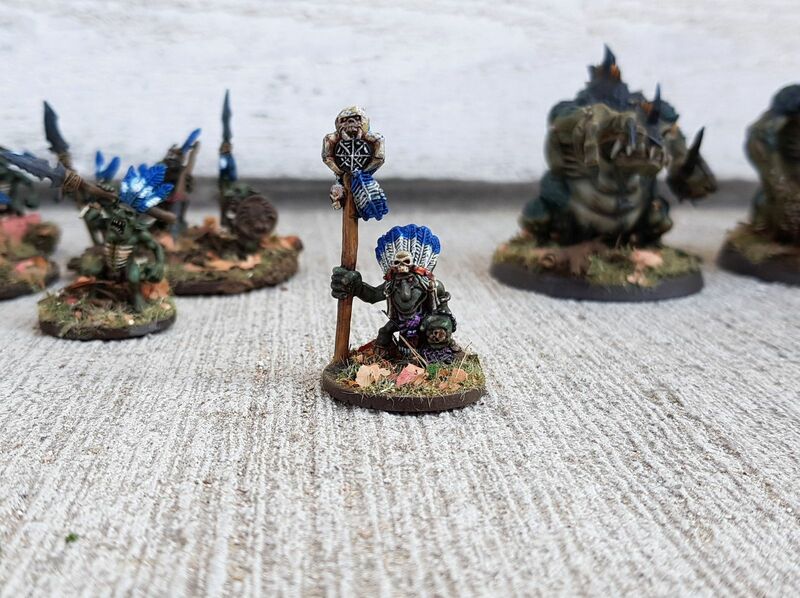 A unit of spearmen, an small unit of trolls and and a shaman on foot. The spearmen are a mixture of the plastic riders from the spiderriders and the howda crew from the big mama spider. 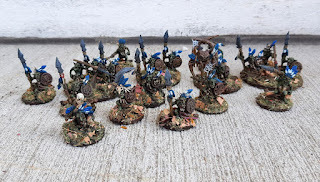 All bought second hand after a long time of searching. The trolls where also bought second hand and was surprisingly good painted. So I just added darker marking on the back with darker stripes, gave them lighter tones on the belly and underside of arms and such. After this a couple of different washes and blends and some highlights. 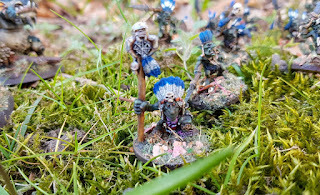 All in all just added onto the details the original painter had given them. 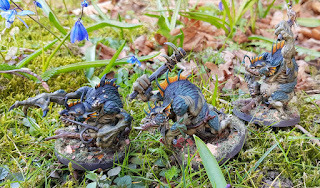 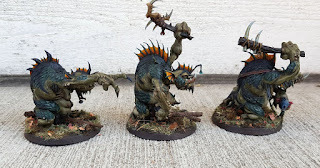 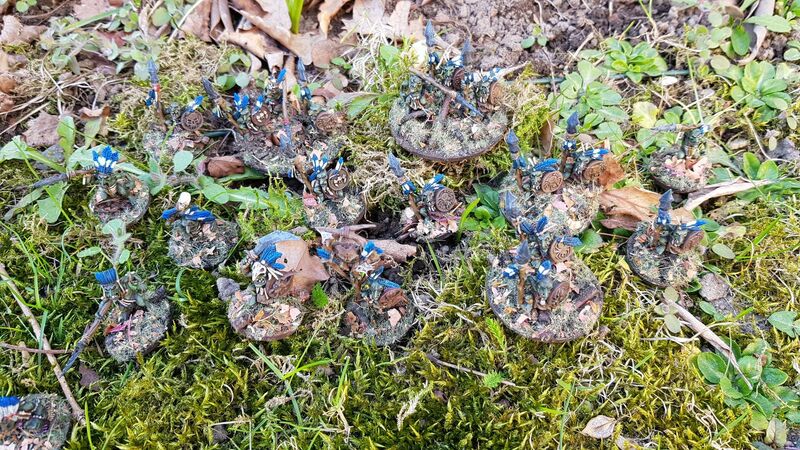 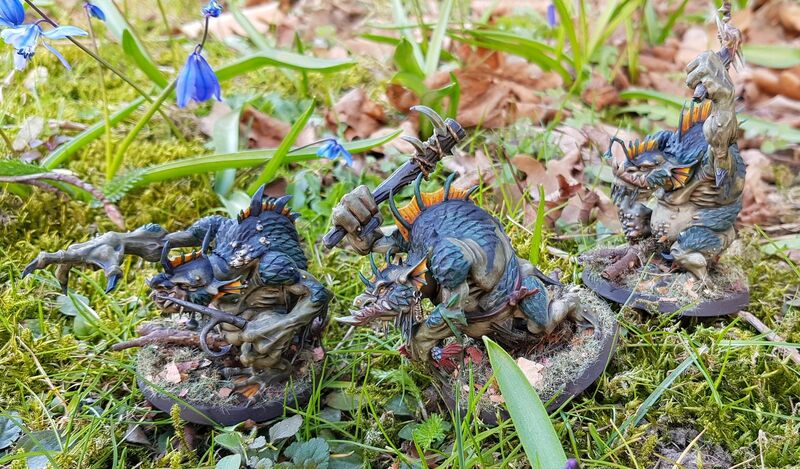 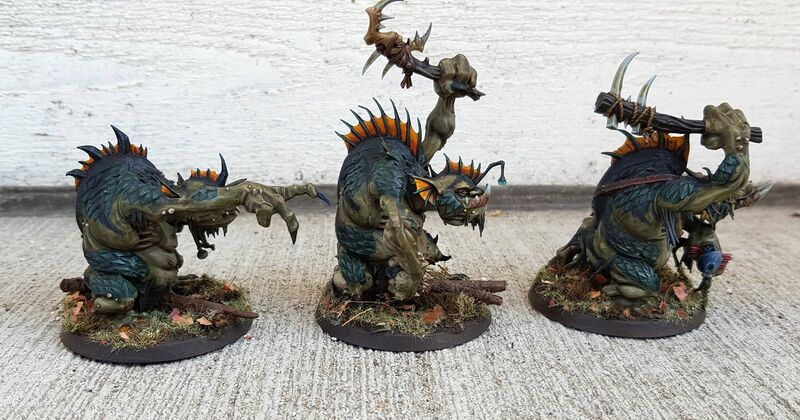 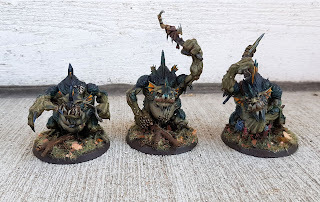 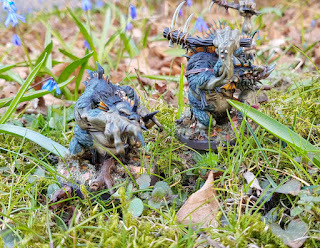 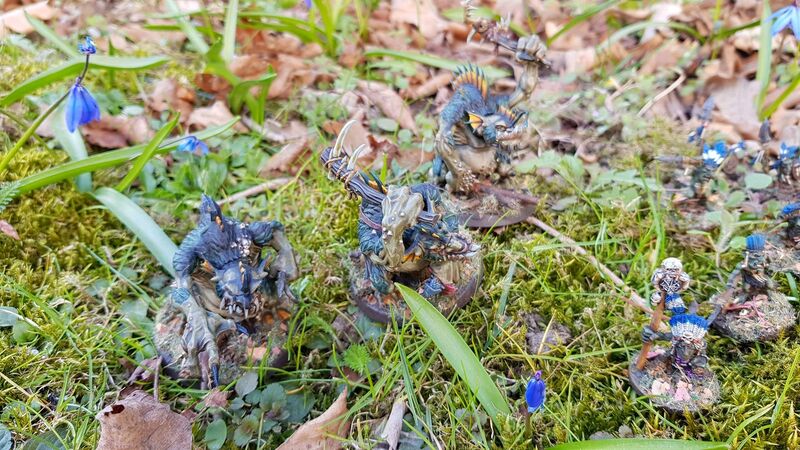 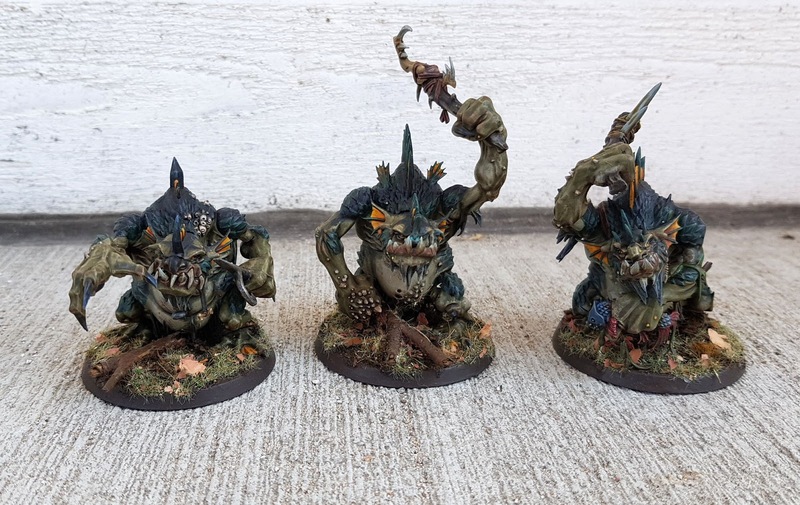 The look I was after was to have them look like a "European Perch"
The shaman on foot is an Ebay purchase, in reality to expensive for his size but I wanted at least some old school miniatures into my Forest Goblin force. 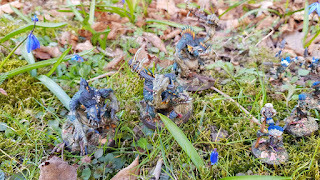 For rules Im not sure how to play the forest goblins on foot. Maybe use the rules for regular goblins and not the nightgoblins, at least back in the days Forest goblins use to have the exact same stats as regular goblins. 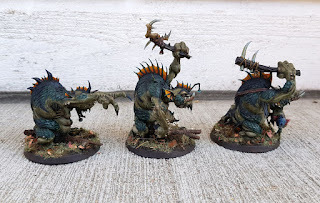 With my opponents permission maybe swap out a keyword for "spiderfang" so they belong to the same faction as my regular spider riders, rulewise. 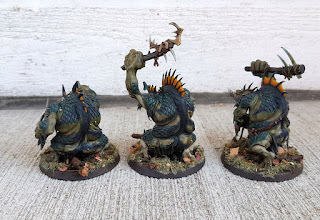 To the Strongest! 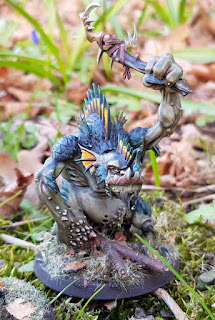 The Ancient Mischmasch. 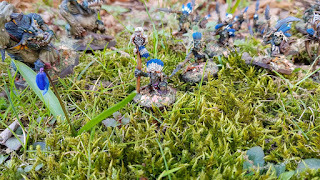 To the Strongest! 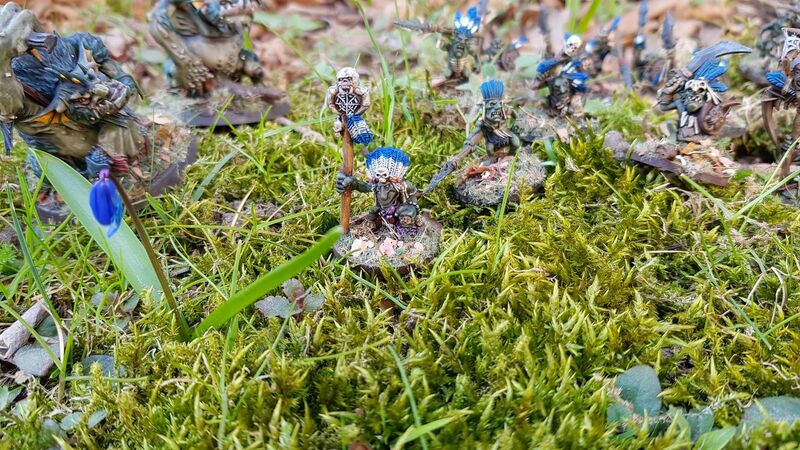 Starożytny miszmasz.